A composite or tooth-colored filling is a safe, esthetic alternative to traditional amalgam (metal) fillings. 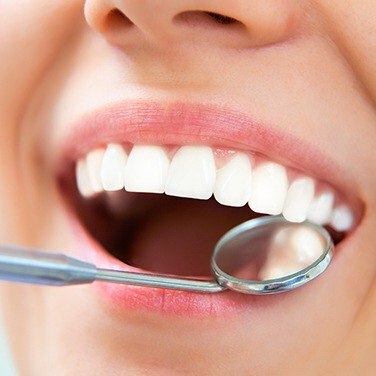 Made from a liquid mixture, composite fillings can be blended to match your natural tooth color. Tooth-colored fillings promote a strong tooth-to-filling bond that can last up to 10 years, which is as long as traditional amalgams. After making sure that you're comfortable with local anesthesia or nitrous oxide, your dentist will gently remove the decay from your tooth. A small dab of liquid composite resin, tinted to match your tooth's color, will be placed into the cavity and hardened with a curing light. The dentist will shape the filling to fit well with your bite, and then polish it for a beautiful finish. Dr. Smith or Dr. Yap can also replace your dark amalgam fillings with composite resin for an all-white, gorgeous smile that's strong, healthy, and durable.